The Year 1's have worked really hard this week on their Pira and Puma quiz. We are getting excited for our Medieval Banquet on Monday and also celebrating Easter. We have had a fantastic week in Hedgehog class celebrating Science Week. It started off with a bang when the RAF Stem Team joined us for lots of Science activities. 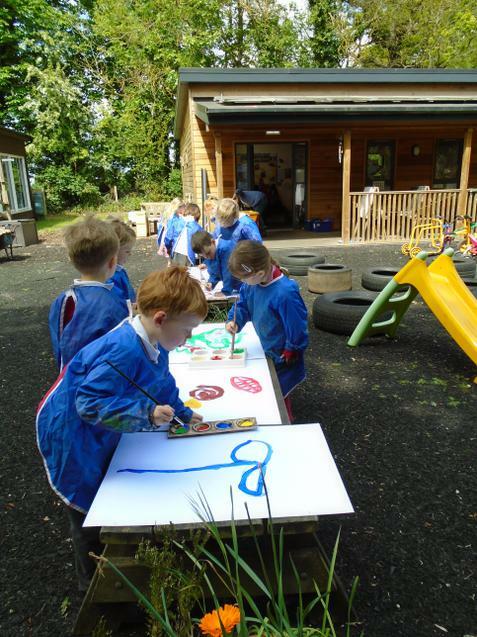 We enjoyed making rockets which we fired, and raced cars that we made. We have also created experiments in class. In Maths we have been looking at 2d and 3d shapes. We have explored the shapes by finding out which 3d shape rolls the furthest. 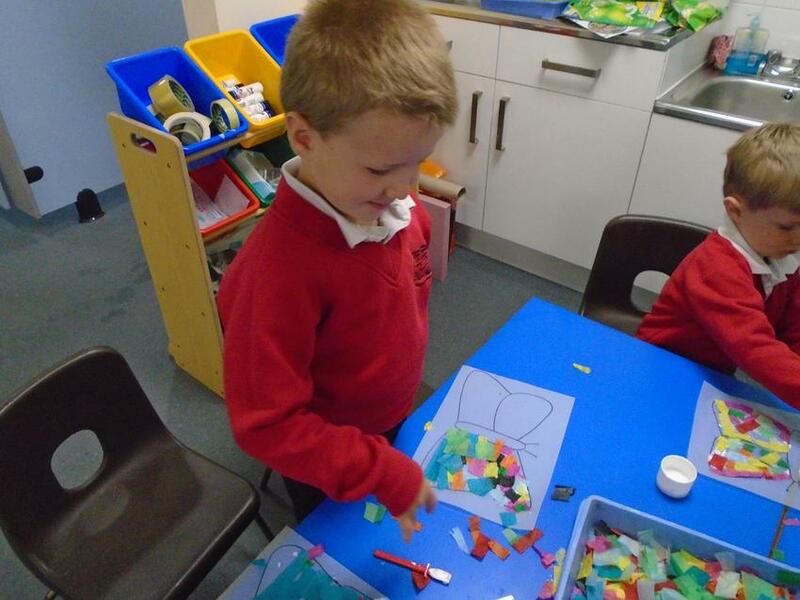 The Foundation children also made lots of lovely pictures using 2d shapes. In Literacy, we have been looking at Non Fiction Texts. We found out what a Non Fiction Texts needs and have begun to plan our own on Castles. We have had a busy week in Hedgehog class as we start to think about "Spring." We have listened to and begun to learn lots of different Spring Poems. We enjoyed looking for signs of Spring around our school. We have written some Spring Acrostic Poems and enjoyed using different materials to make some spring Daffodils. On Tuesday we had lots of fun having pancake races and practicing flipping the pancakes :-) On Thursday we enjoyed dressing up as our favourite book character for World Book Day. What a busy 2 weeks in Hedgehog class. We have had fun celebrating Chinese New Year and tried noodles. This week we have read the story of "The Little Red Hen", we have made bread and bridges for the hen to cross over the road. We had to make them strong enough for the hen who weighed 1kg. We then tested our bridges. some of the bridges worked and held the hen perfectly. Some weren't as strong! In Maths we have looked at capacity and have measured liquids to make a super drink for for the Little Red Hen. It's thirsty work having to do all the jobs alone! Have a great Half Term holiday and we look forward to our topic on Fairytales and Castles when we return. This week Hedgehogs have been very busy learning about money, adding coins and finding totals. We have been working very hard! The children have also finished their houses for Goldilocks which will be out for you to see at the Learning exhibition on Thursday. We are all very excited to have been contacted by a film producer from New York who asked for our help in creating an adaptation of "The Three Little Pigs". 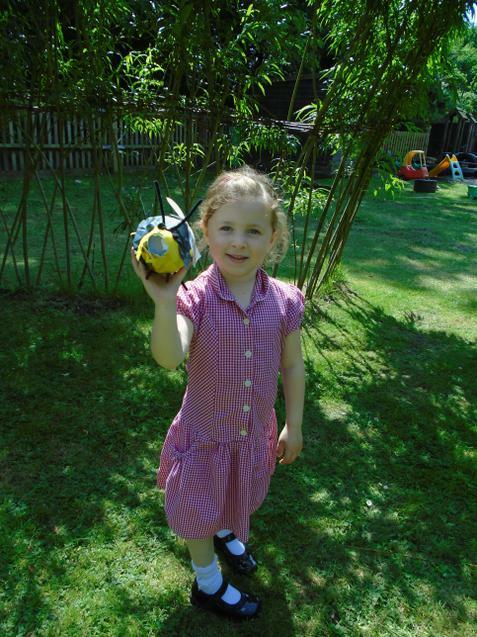 The children have spent the week making props, writing scripts and filming on location. You are invited to the world premier on Thursday and should receive your invitations this week. See you then! This week we had a visitor in the role-play area. We explored the sights, sounds, smells and tastes of the Three Bears Cottage and began to choose adjectives to describe the setting and characters. In Maths Year 1 are looking at number bonds and doubles using practical apparatus to help us to work out the missing number sentences. FS have been practicing addition and number formation. We have had lots of fun enjoying the snow! This week we have written made instructions of "How to catch a Porridge Thief" using lots of actions, time words and also bossy words. As part of our topic, the children have designed a new house for Goldilocks and have begun making hinges for windows and doors. The children were given criteria by Golidilocks to make the house beautiful, to have a moving door which is also big enough(4 cubes high). The children were very meticulous about fulfilling each criteria! Well done Hedghogs! As part of our continuous provision, we had challenges to build a chair big enough for a Bear. Look at some of our creations. To launch our topic of 'Terrific Tales' this week, we have discovered that there has been a porridge thief in the 3 bears cottage. The children became detectives and searched the crime scene for clues. We collected the evidence in police evidence bags and recorded our findings. 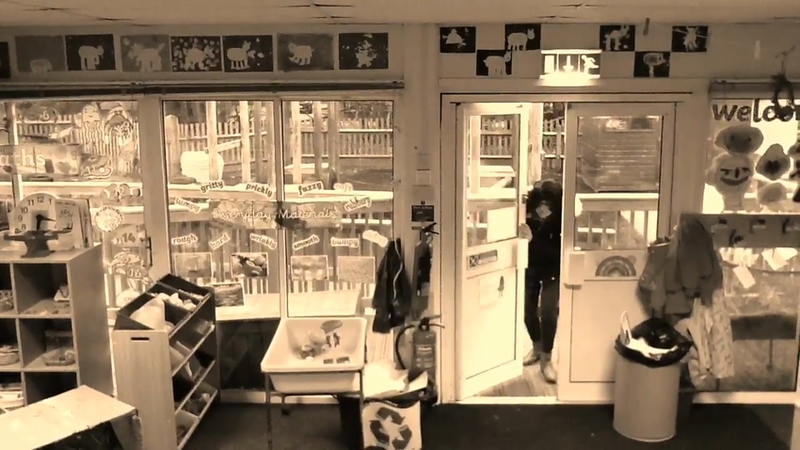 The police sent us CCTV footage that was found of the crime scene. Has the 'The Porridge Thief' been caught? .... not yet! We made 'wanted' posters to describe what she looked like. When the police finally caught the porridge thief, we asked her lots of questions about the crime she had committed. In maths we have looked at tally charts and pictograms of our favourite fairytale stories, we have used the data to answer a series of questions. Our Early Years children have sorted and compared the compare bears by size and colour. Last week the children in Hedgehog class finished off their topic with a visit to the River and Rowing Museum in Henley. We learnt about the different components of a boat and made some boats of our own. Then we went for a wet walk down by the river to look at some of the different types of boat. We enjoyed an afternoon looking at the exhibitions and particularly enjoyed "The Wind in the Willows". A fantastic time was had by all! This week we have enjoyed exploring our Arctic activities in the classroom. We made igloos using sugar cubes and used small diggers to create stories and adventures. 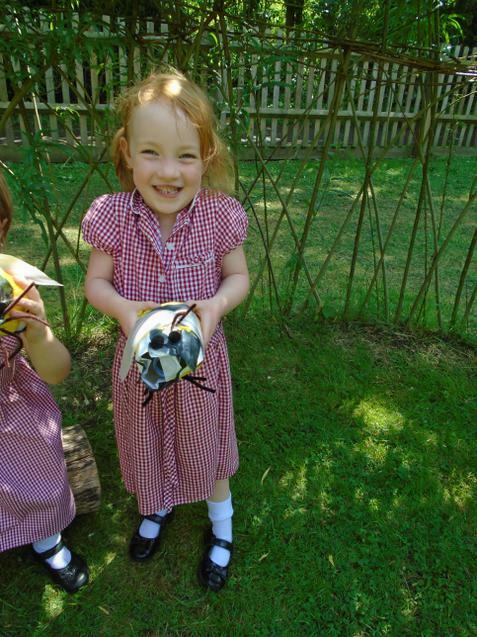 The children have given the Bee Bot directions to meet all the Arctic animals. The foundation children used the playdough and different tools to create their own Arctic animals. 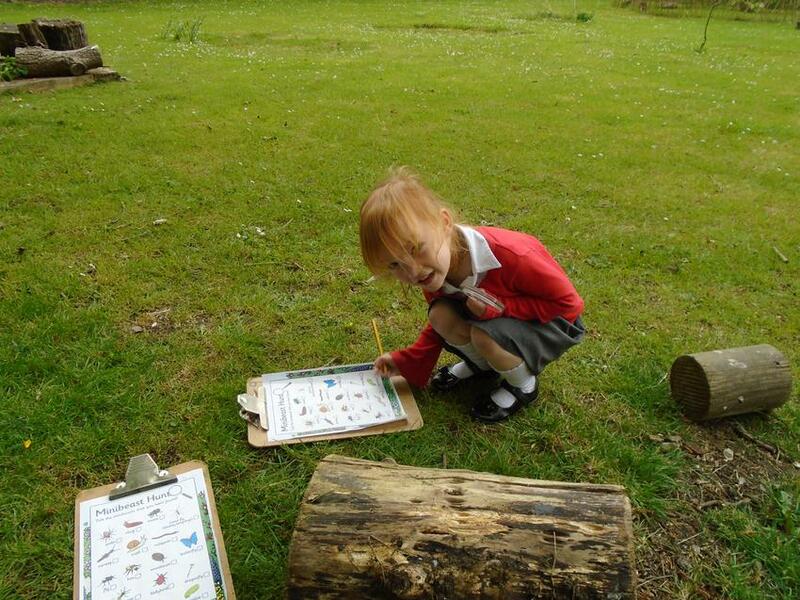 They have also enjoyed using large boxes to make their own adventures in the outside area. On Friday we became real explorers and made our very own campfire using the fire pit. We enjoyed toasting marshmallows and bread. This week in Hedgehog class, we have begun our Polar Regions topic by exploring an Arctic scene. We found that Robert Falcon Scott had been exploring the Arctic. This weekend, think about what you think he would see as he looked out of his tent. This discussion will be used as part of next week's Big Write. 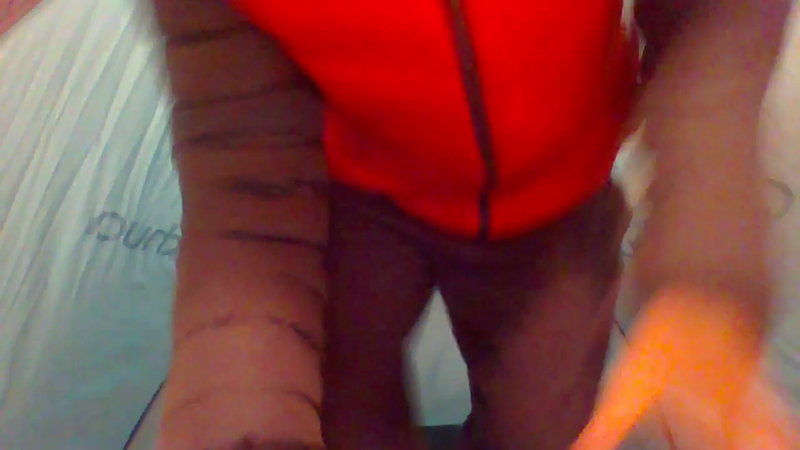 Have a look at the Video clip he has sent us! We have had a busy week in Hedgehog class. On Wednesday, we had a WOW basketball day and enjoyed learning new skills with the worlds tallest basketball player. On Thursday, we invited our parents into class to help us make a healthy breakfast. It was yummy! We also walked to the church to have a look around ready for our Harvest Festival on Friday. Hedgehog class have had a busy start to the term. We are looking at the book “Supertato” and have learnt the story through drama and role play. We have designed and made traps to catch the Evil Pea, we have become superheroes and made some super writing. The Early Years children have been practicing their name, whilst the Y1 children have been writing captions and sentences for the story. We have had great fun counting peas and potatoes. We have been busy over the holidays setting up our classroom. Come and have a look! We have loved exploring our school pond. 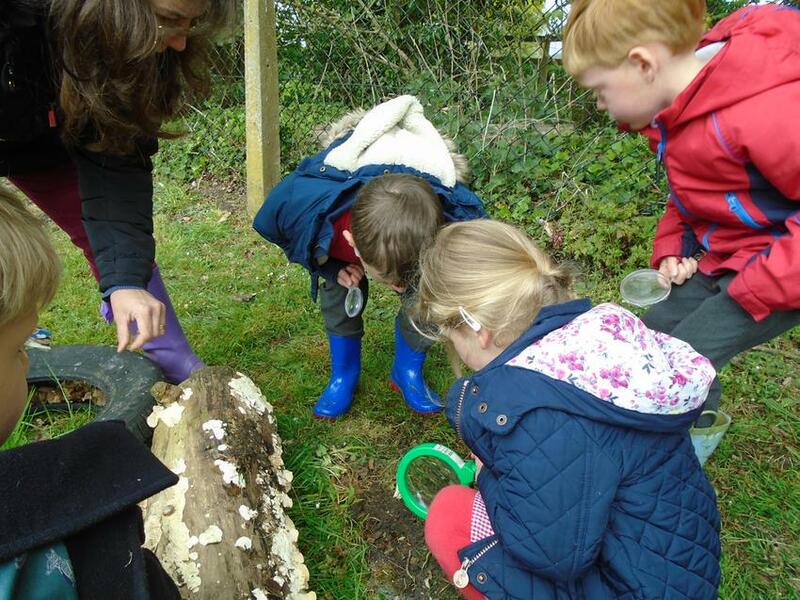 We found lots of interesting creatures while we were pond dipping. 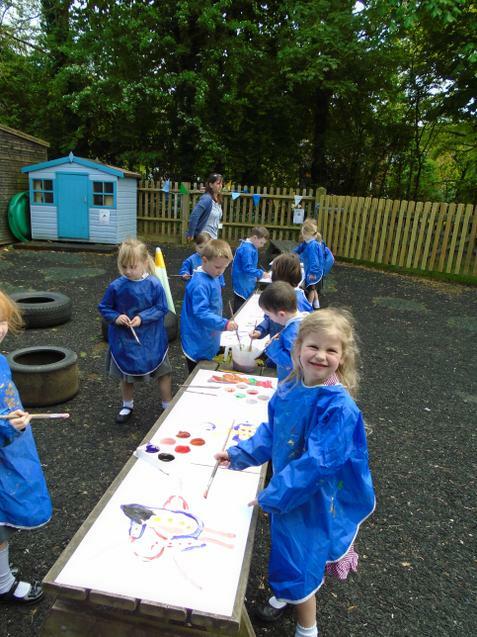 We have been mark making, writing and painting outside. We had a super day at the Tring Museum. Hedgehogs were asked to bring in a christmas story this week. This morning, Fox class came in and shared the stories with them!! All very engaged and reading/ being read to. We have been learning about the Great Fire of London. We made a model of Pudding Lane and started a fire in the bakery! Pirate Day in Hedgehog Class! 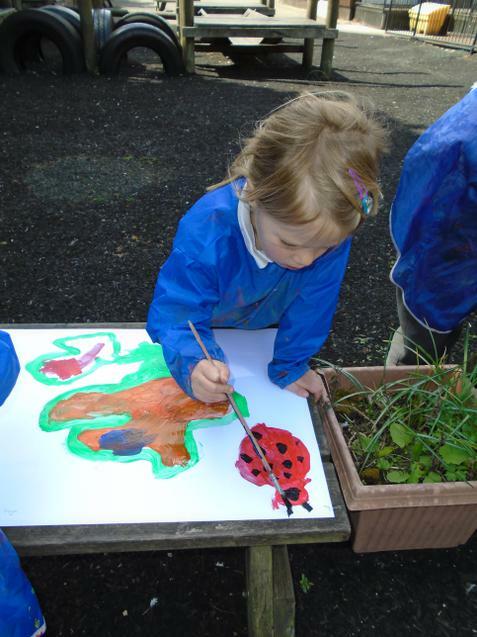 Hedgehogs have continued with their minibeast theme, looking at bees this week. 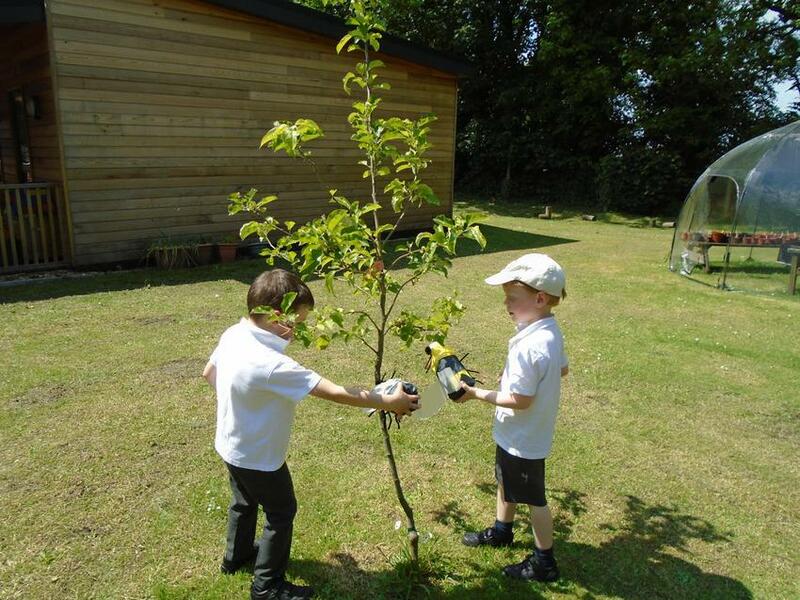 We took the bees that we made for a search for nectar so they would be able to make their honey! We are so proud of our wonderful independent writing. We have been learning about bees and how they make honey and we have written all about it. 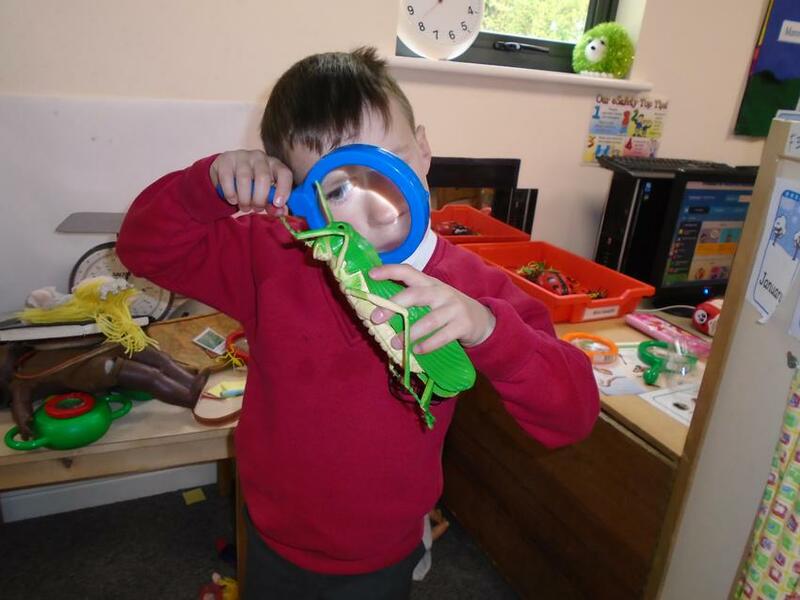 This term our topic is mini beasts. 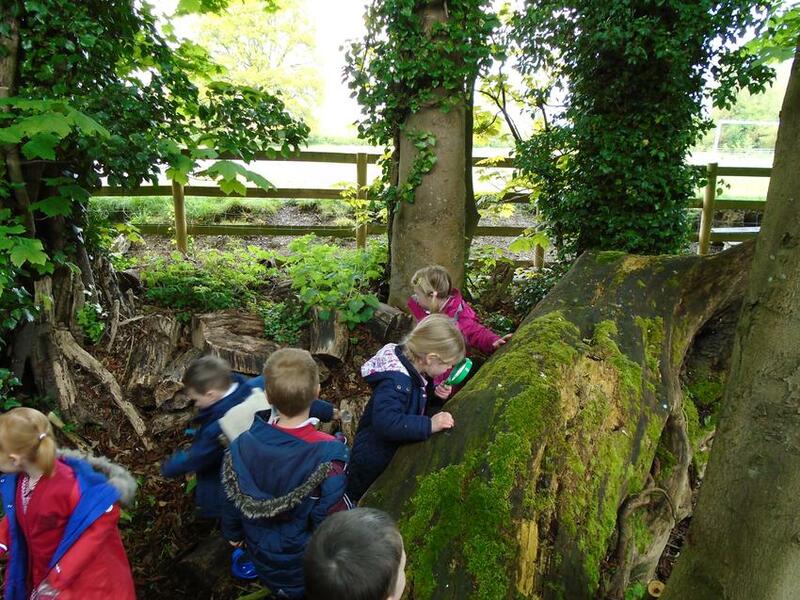 We have been on a bug hunt exploring the newly cleared woodland area for insects. 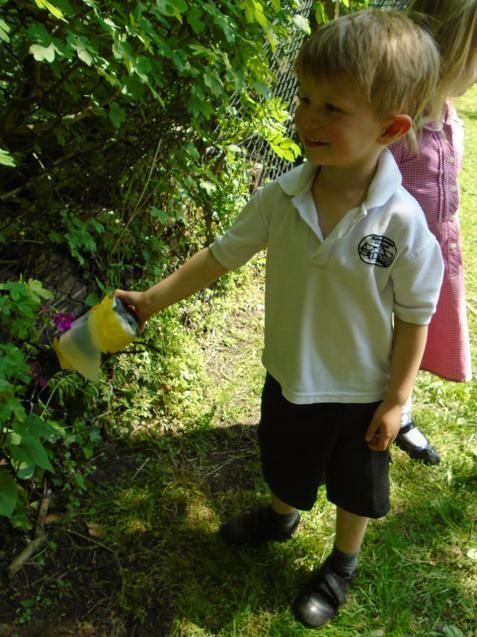 We have been creating sun catcher butterflies and painting outside. 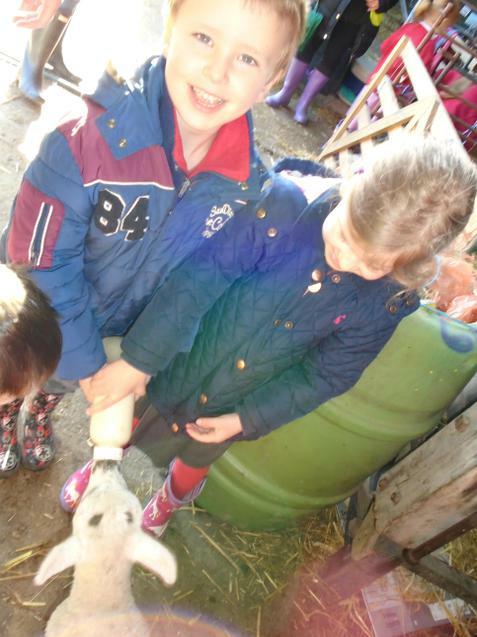 Hedgehog class went to Kingston Blount Farm in the Spring term. 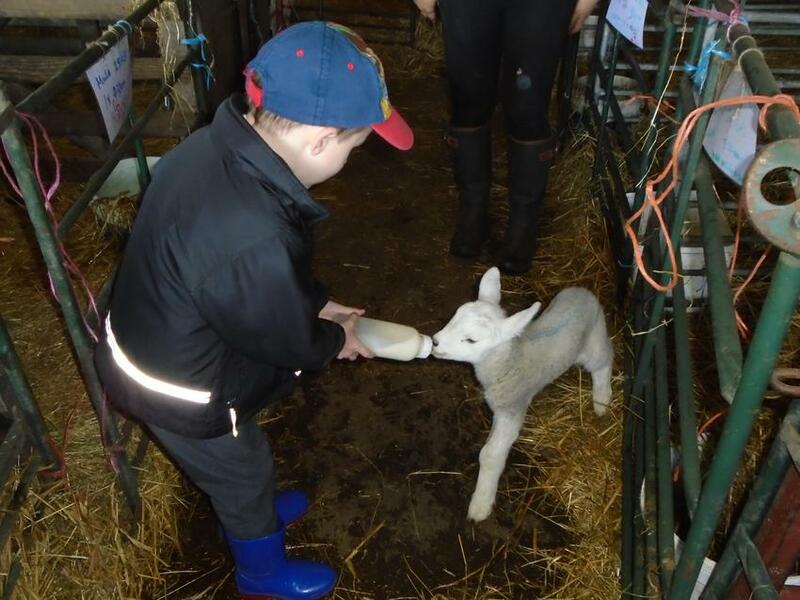 They had a wonderful time and had a chance to feed the orphan lambs. During our RE Inspired session, we learnt all about the story of the Lost Sheep.